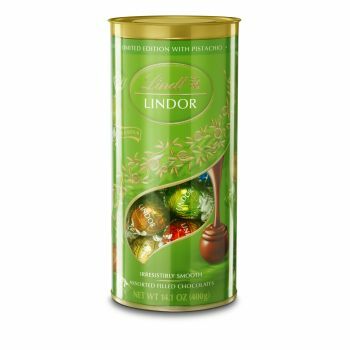 Enjoy a moment of bliss with the new Lindor Tube featuring the exciting new flavour Pistachio, a delicious milk chocolate shell with a smooth pistachio flavoured centre. This limited edition Tube comes in an assorted version featuring the most popular flavours Milk, White, Dark and Hazelnut. Discover irresistibly smooth chocolate and indulge in a moment of bliss with Lindor.